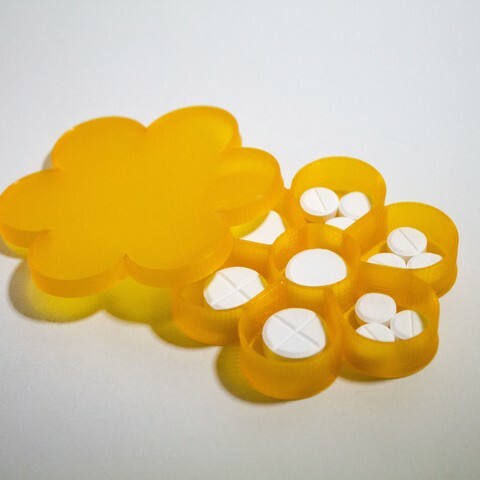 Pill Box in flower shape, with 7 compartments. 3 different lids: 0.2, 0.3 and 0.4mm gap to fit your printer tolerance and the kind of filament you'll use. Horizontal walls are 0.5mm (to fit one 0.2mm first layer and two 0.15mm layers). 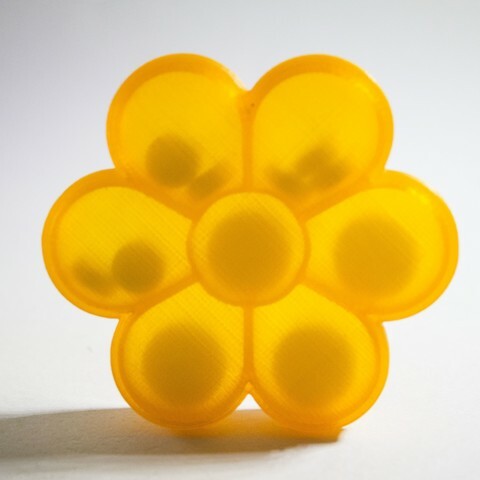 I printed the one shown with 0.2mm gap lid in PLA / PHA (colorfabb). PLA could need a higher gap.